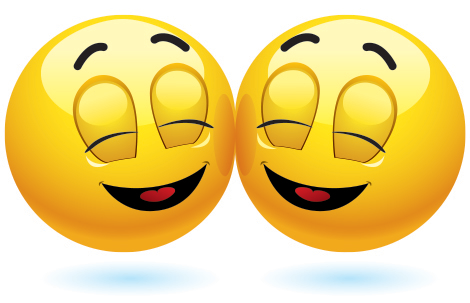 These two happy emoticons are in perfect sync with their cheerful display. When you're feeling happy about someone and you know they're happy about you too, send them this blissful emoticon to let them know just how you feel! Share our Facebook emoticons with all your family and friends!